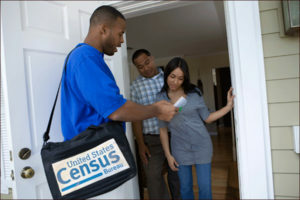 The U.S Census Bureau under the Department of Commerce will be hiring thousands of census workers between now and 2020 to conduct the upcoming census. Most of the positions are available for anyone to apply. Because the labor market is at full employment, federal employees and annuitants may also apply under certain conditions without impacting their benefits. The positions available include census taker, recruiting assistant, office clerk, and supervisory staff. Individuals can apply with one application to be considered for several positions. Some federal employees working at agencies that have a dual employment agreement with the Census Bureau can work in 2020 Census positions. Under Title 13, United States Code, Section 23(b), the Census Bureau may hire federal employees upon approval of agency directors, but only for temporary, short-term work on the 2020 Census. To be considered, you must complete a job application online. Many agencies now have dual employment agreements for 2020 Census positions. The list of agencies signing the dual employment compensation agreement continues to grow. Check the list of approved agencies if your agency is not currently participating, a link to this list is provided under resources. Federal annuitants (retirees) can also apply according to the local census office. All they have to do is check the dual compensation waiver block during the application process. If you apply under the dual compensation waiver process your annuity should not be impacted. Currently, the 2020census.gov site does not have the capabilities for federal employees and annuitants to apply using the dual compensation waiver process. Federal employees and annuitants wishing to work with the 2020 Census must apply through the USAJobs.gov site. The current positions listed on USAJobs are for field manager positions. All of the 2020 Census positions are Time Limited Appointments, initial appointment is not to exceed (NTE) 2 years. Pay varies from $18 to $35 an hour for office field manager positions and from $12 to $25 an hour for census takers depending on your location, the higher cost of living metropolitan areas pay a higher hourly rate. The census taker positions will be opening soon. These appointments may be extended at management’s discretion. The work schedule for these positions are Mixed Tour. With a Mixed Tour work schedule, an employee may be changed between full-time, part-time and intermittent work schedules to accommodate fluctuating workloads and is subject to a signed agreement. There will be many additional jobs advertised as we approach the year 2020 when the actual Census begins. Check the two sites listed below under resources weekly for new job announcements in your area. Eventually, federal employees and annuitants may also be able to apply using the 2020census.gov site, check both site’s listings frequently. All job announcements include a contact phone number and email address listed under “Agency Contact Information” towards the end of the document. If you have any questions about that position and specifically if you can apply under the dual waiver compensation process, call them to discuss your personal situation. They will be able to answer your questions. Agency Approved Dual Employment Agreements (2020 Census positions).